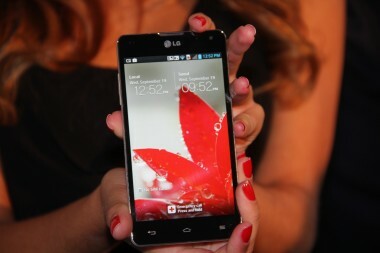 The event of LG Optimus G was made after the phone was released yesterday in Korea. 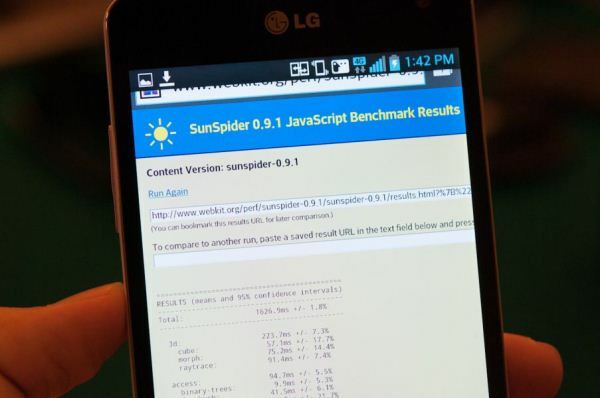 Qualcomm powered the LG smartphone with their Beast Snapdragon Quad Core 1.5 Ghz. Processor. You cant deny his claims because this is surely the most powerful smartphone in the market yet with only Samsung Galaxy SIII and HTC One X matching it Core specs. LG Optimus G holds a power Qualcomm MDM9615/APQ8064, Quad-core 1.5 GHz Krait and GPU Adreno 320 alongside a powerful 2GB Ram. The devices has a massive 4.7” screen which is edge-to-edge just like Motrola Razr HD and Razr i. The screen has massive resolutions of 1280 x 768 True HD and an in-cell, IPS display. Adding to that is a powerful 13MP camera. WOW, a lot to take in already!!!! LG Optimus G is up their with the big guns when it comes to OS, using the Android 4.0 jelly beans as its OS. The Phone also has a a feature called the QSlide lets users work in two screens at the same time. Other features include pinch-and-zoom high-definition video and NFC for make the user experience smoother. The phones comes with Li-Ion 2100 mAh battery. A little less for such high end smartphone. The Smartphone has LTE capability but carriers havent been announced yet by LG, nor the pricing. If this cellphone plans to compete with the like of iPhone 5 and Galaxy SIII and Lumia 920, it has to be cheap!